POSTAGE & PACKING of items at Cost Price. 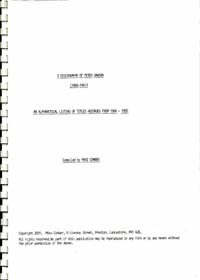 The Errata Sheet is included (with 17 corrections). 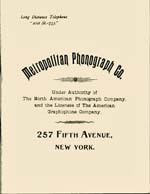 The catalog overviews the history of the phonograph beginning with the 1857 Phonautograph created by French scientist Leon Scott de Martinville. 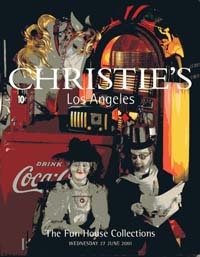 Illustrated with b&w photos and a section of color photographs. 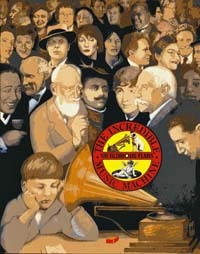 Pictured are many Edison models, the Graphophone, Berliner gramophones, Columbia phonographs, many European machines such as the Adler Victoria Phonograph, Excelsior Phonograph and others, a rare Paillard Hot Air Machine (in color), toy phonographs such as the Stollwerck Toy Gramophone, the Mikiphone Miniature Portable (possibly the smallest of the miniatures), and many more. 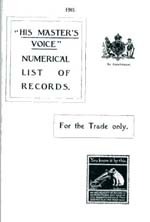 Contains descriptions and pictures of many gramophones & phonographs and the major events in the history of recorded sound. 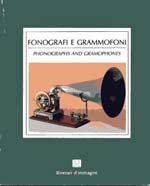 Contains descriptions (in both Italian & English) and pictures of many gramophones & phonographs. 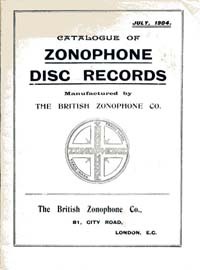 History & Collectors Guide to Gramophones errata included (with 17 corrections). 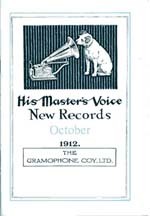 Examples of gramophone and phonograph advertising on every page. Old gramophones from the 1880's to the 1920's. 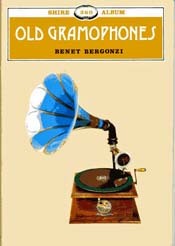 The early history of gramophones with additional material and revisions of the first edition. 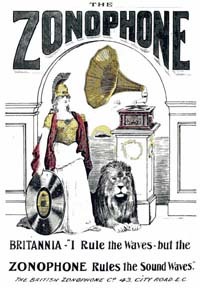 Interesting facts and pictures of the early history of gramophones. Pictures of gramophones, phonograms & ephemera. 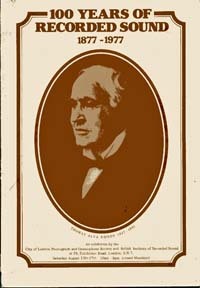 Booklet about this early Phonograph Company and their products. 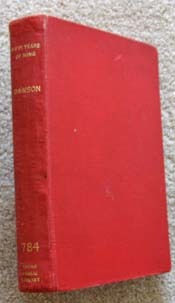 There is no dark shading as shown on the photo-scan of this book. 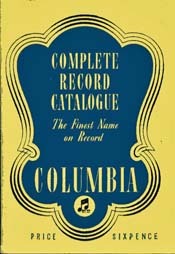 Record catalogue, details of recording artists. Colour examples of labels. 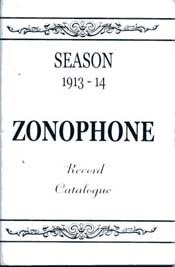 Zonophone 5,7,10 and 12 inch records available 1904 to 1913. 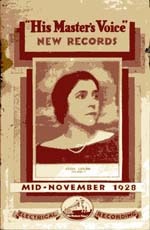 Catalogue of Records & pictures of recording artists. The Boy, The Man, The Legend. 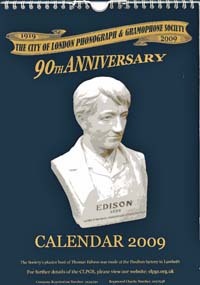 Aspects of the man and his inventions. The life story of one of Australia's greatest singers who started off his career recording on cylinder and finally on Vinyl. 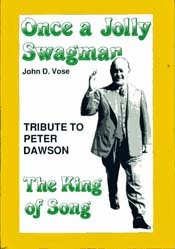 Tribute to Peter Dawson - The King of song. 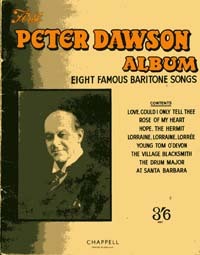 Words & Music for 8 Peter Dawson Songs. 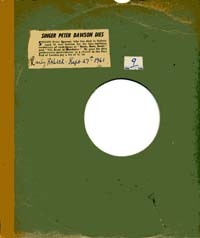 An alphabetical discography of Peter Dawson records. 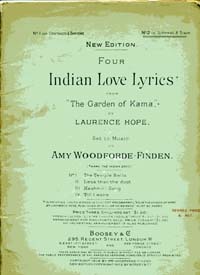 Words & Music for 4 Peter Dawson Popular Songs. 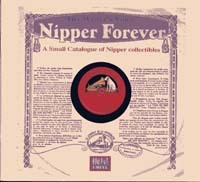 A small Catalogue of Nipper Collectibles. High quality colour pictures. Descriptions in Japanese with description of book in French. 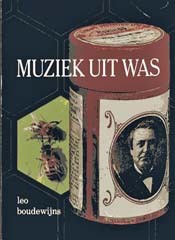 The history of recorded sound with accounts of many inventors and artists. 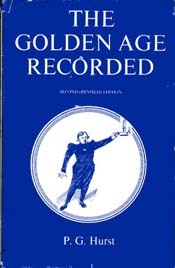 An interesting and detailed sometimes amusing account of the golden age of recording. 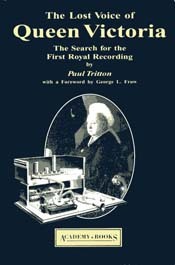 The story of how Queen Victoria was persuaded to record on cylinder. 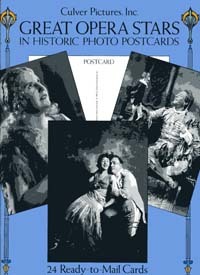 Great Opera Stars in Historic Photo Postcards by Culver Pictures Inc. Featured are 24 outstanding performers, including: Feodor Chaliapin (1873-1938) as Boris Godunov Enrico Caruso (1873-1921) as Don Jose in Carmen Kirsten Flagstad (1895-1962) as Sieglinde in Die Walkure Amelita Galli-Curci (1882-1963) as Lucia di Lammermoor Mary Garden (1874-1967) as Marguerite in Faust Beniamino Gigli (1890-1957) as Turiddu in Cavalleria Rusticana Lauritz Melchior (1893-1973) as Tannhauser Antonio Scotti (1886-1936) as Iago in Otello Eleanor Steber (b. 1916) as Sophie in Der Rosenkavalier Lawrence Tibbett (1896-1960) as Ford in Falstaff . . . and 14 others. Captions on the reverse side of each card identify the singer and the role and/or opera portrayed. Brief notes provide the singers' dates, vocal category, nationality, and highlights of his or her professional background and famous roles. 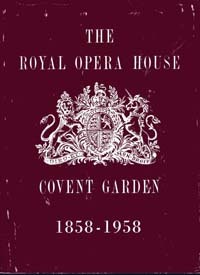 Centenary brochure of the opera house, well illustrated, images of productions and the opera house. 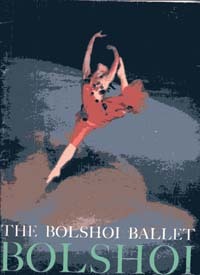 Details and photos of the Bolshoi & ballets from their 1962 - 1963 Season. 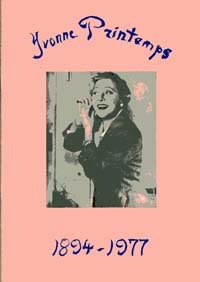 The story of Yvonne Printemps including discography. 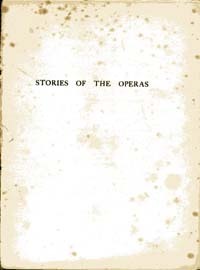 Stories of the Operas with pictures. 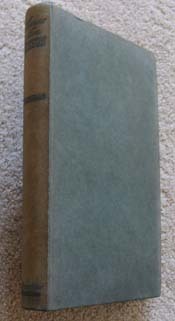 Loose leaf (Cover & binding missing). Published 1990's? 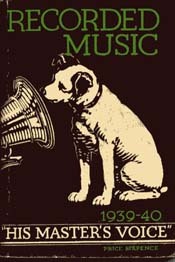 Radio Notes (Early Radio & Radio Gramophones) by Columbia Graphophone Co.
Book published by the Columbia Graphophone Company Ltd for the assistance of their Dealers. 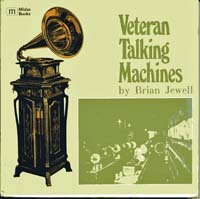 Contains details about components, wiring diagrams and information for a service engineer of these radios and radiograms. Includes Errata with correction of 4 errors. An important Auction of high quality collections including 41 Art-Deco Radio Lots, many high quality colour photos. 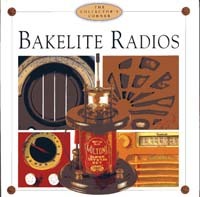 A glossy fully illustrated book about early and contemporary Bakelite radios. Presents a concise history of the radio from its initial conception as a piece of experimental scientific apparatus, through the design milestones in its development, up to today's retro and post-modern sets. Many superb photographs of radios. This copy has been "Signed by the Author"
Radio!, Radio! 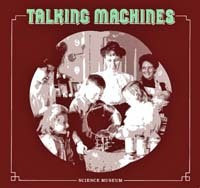 is a celebration in words and pictures of the British wireless set from its experimental beginnings in Victorian England, to the foundation of a domestic wireless manufacturing industry and the inception of broadcasting in the early 1920's. The story continues on through the design-conscious 1930's (where the radio came into its own as a piece of furniture), to the war torn and austere days of the 1940's. 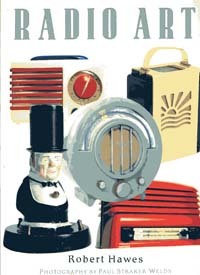 The first transistor radios began to appear in the second half of the 1950's and in this new edition, this rather neglected area has been fully covered by a section all of its own which includes a directory listing of nearly 3,000 different transistor models. 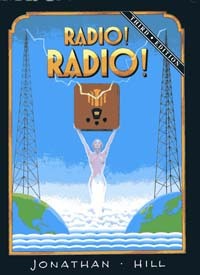 The book finishes after the 1960's, by which time our long established and once great radio industry had all but been destroyed by foreign imports. Now with 320 pages and over 1,000 illustrations, informative captions and carefully researched text, Radio! Radio! 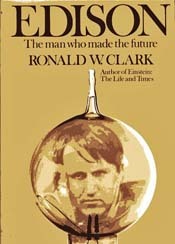 is the first and still the only book of its kind ever published. Many many pictures and descriptions of models and types of Radio. 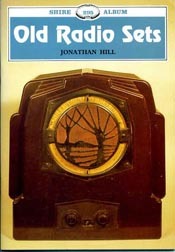 This book describes the development of the radio (or the 'wireless' as it was more properly known in pre-war days) from the late Victorian era until the late 1960s, showing many rare and unusual sets.